'Information for Current Students' on our campus websites will give you quick links to the key resources you will need to ensure that your time at UWI is as hassle free as possible. Globally, the cost of funding higher education is increasing every year and the students of our developing region have not been exempt. 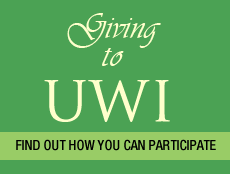 As the premier Caribbean University, nurturing the region’s best and brightest students, UWI recognizes the need to provide you with option and avenues for accessing financial aid.